Over the last few days we've been looking at my work in progress on my Imperial Fists first Tactical Squad. We've looked at the squad as a whole, the Sgt, and the Special Weapons. 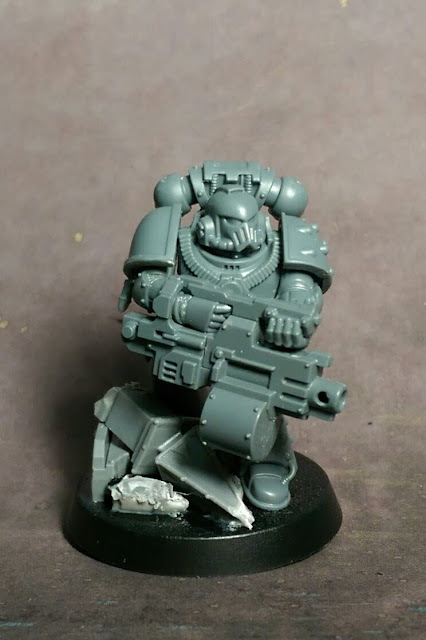 To round out this squad, I also magnetized the heavy weapon marine. 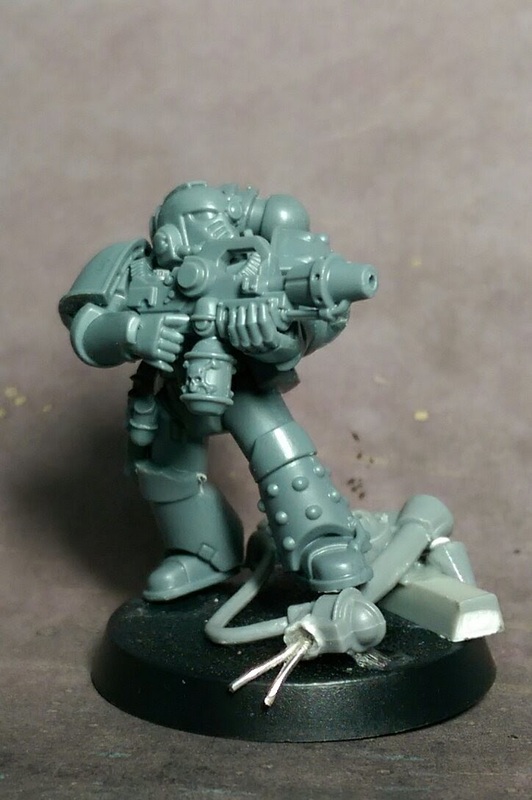 This time I magnetized both arms so I could let him carry the missile launcher and the heavy bolter, which utilize different left arms. 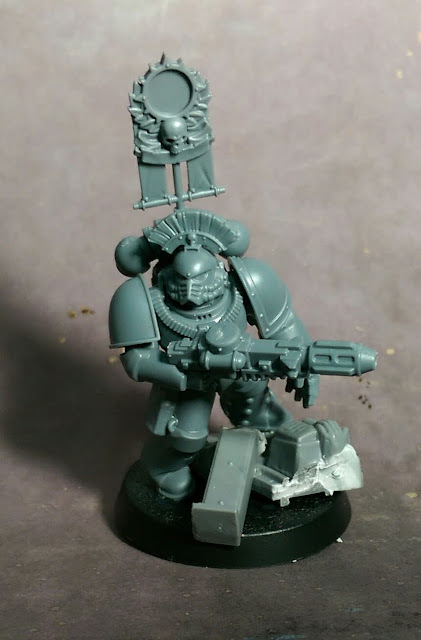 I considered magnetizing the backpack, but opted not to for simplicity, and to give it a bit of a different look when he's got the heavy bolter. 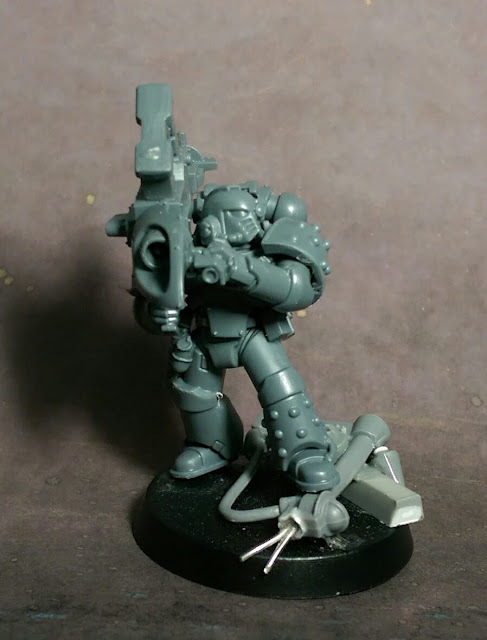 Having both arms magnetized provides even greater flexibility, as I can equip the model with the cupped left hand to hold special weapons instead of heavy weapons. Alternately, you could equip the marine with magnetized pistols and close combat weapons of any variety to create an ad hoc squad leader for times you want to select smaller 5 man teams. At this time, I've not built any other Sgt. upgrade arms to demonstrate, but will be looking at that as a future upgrade. In the future, I'll discuss how I magnetized the miniatures to allow for greatest compatibility, and thus flexibility. Stay tuned! Imperial Fists: Well, Isn't That Special! Over the last couple of days we've been looking at my new Imperial Fists Tactical Squad, work in progress. I've already mentioned that the squad has been magnetized for optimal use of the special and heavy weapons, and to give me the best bang for my buck when it comes to army selection. Yesterday we looked at the squad Sgt, and how with a single magnetized arm, it provides a lot of diversity in terms of swapping out wargear. 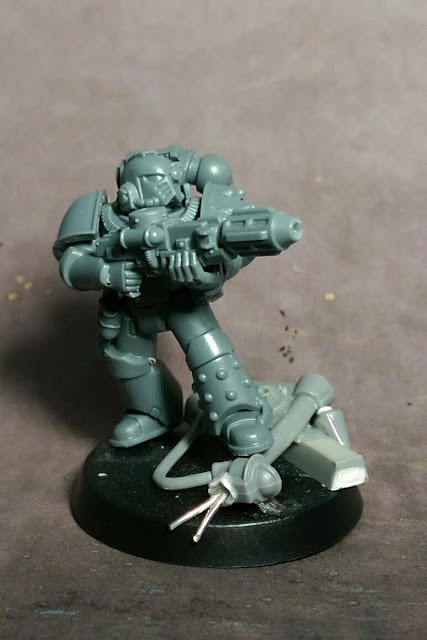 Today we look at the Special Weapon toting marine. Again, only a single magnet was installed in the torso, for the gun arm. The left arm was glued in place in a suitably pleasing pose. Yet with only his gun arm magnetized, he can still be equipped with a large variety of guns. Plus, even though his right arm is glued on, he can still do double duty with a heavy bolter. Having this kind of flexibility allows for a much more diverse selection of army lists, where you can easily swap arms to create smaller five man squads with a special or heavy weapon, but not have to invest in additional miniatures or significantly more paint time, as all you have to paint are the contents of a single kit. Next time, we'll have a look at the Heavy Weapon marine. 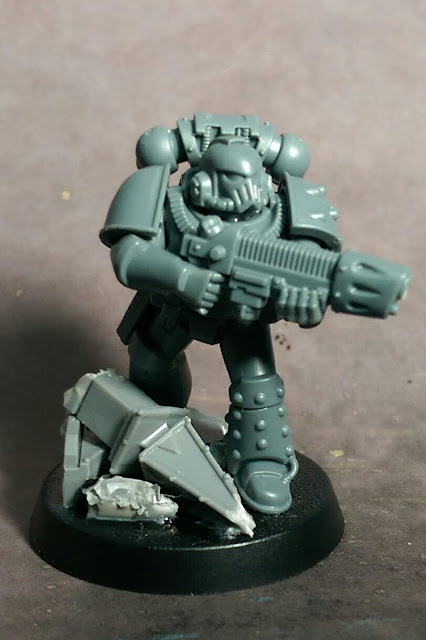 Yesterday we had a look at the first tactical squad for my Imperial Fists army using the Horus Heresy Betrayal at Calth set. These were built entirely from a single tactical marine sprue from the HH BaC set, with the exception that I needed to scrounge a single right arm and a shoulder pad from my bits box. The reason I needed to do that was so that I could magnetize all the special and heavy weapon options. 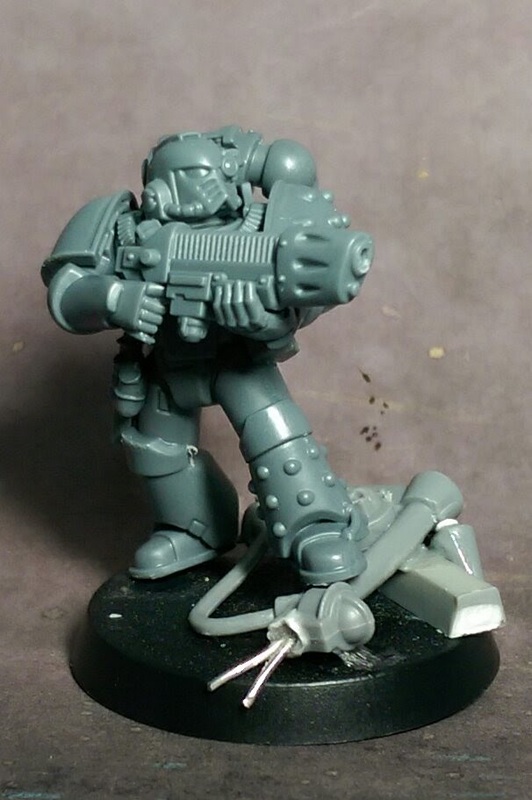 I've yet to do any combi-weapons, as it's really small and hard to magnetize each combi-option. One strange thing about this kit is they actually provide a few extra left arms with cupped hand, but not an equivalent number of right arms to glue guns on. It's strange because you can't use the extra left cupped hand arms, and there are not enough right arms to make a full set of pairs. They are just random left arms without a purpose. I do have a use for them, however, and have tucked them into my bits box for a future endeavour. I mentioned magnetizing these models already, and wanted to have a closer look at the versatility of a few of the magnetized miniatures. Today we'll have a look at the Sgt., who is equipped with a powerfist and a plasma pistol. 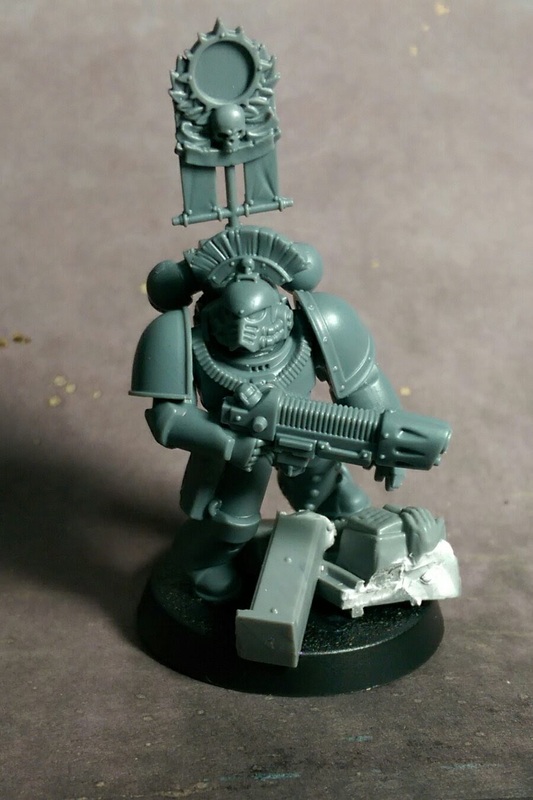 I glued on the power fist, because Imperial Fists, so at least one Sgt will always have a powerfist. But his pistol arm is magnetized, in case I later decide to give him a different pistol, combi-bolter, or other special weapon. With a simple single magnet in the torso, the Sgt. can have a very diverse and flexible access to a variety of weapons, ranging from pistols, to combi-weapons, and even to special weapons, as shown here. As of writing this, I've not done any additional arms to swap pistols, or give him other options, but I eventually plan to, when I scrounge up some more right arms in the MK IV style. 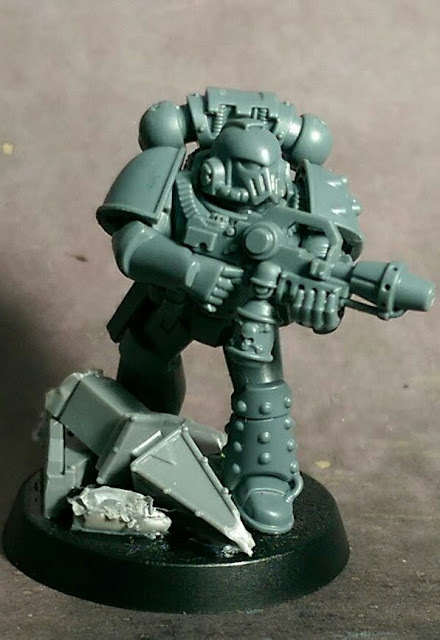 Next time, we will look at magnetizing the special and heavy weapon marines. You've already had a sneak peak with the Sgt. carrying some special weapons. Well, it's March 1st, and we are well into the year, so I thought I'd at least better announce my plans for this year. 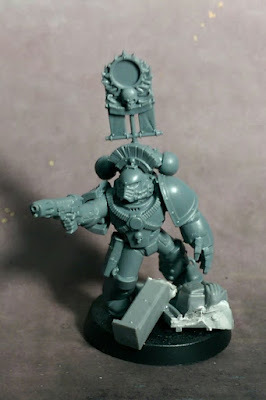 Along with other projects I have on the go, I'm going to be doing a slow burn build of an Imperial Fists army for the Forge World Horus Heresy rules. 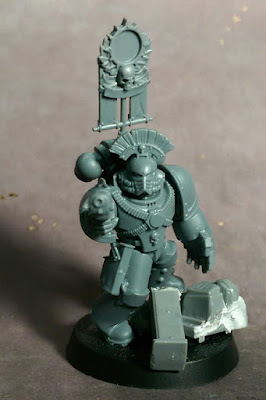 To start, I'll be building and painting a complete Horus Heresy Betrayal at Calth set. 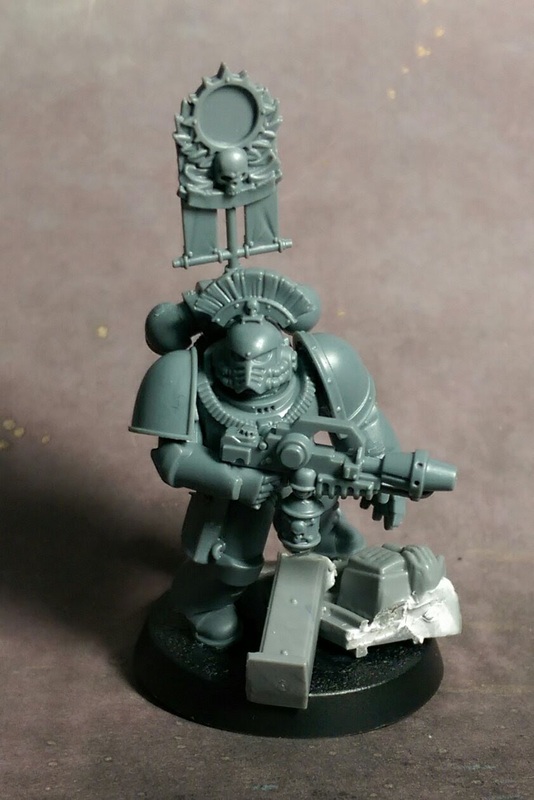 This will give me a good foundation for the army with the Commander, Chaplain, Cataphractii Terminator squad, Contemptor Dreadnought, and three Tactical squads. So far I've built the first squad up as a Veteran Tactical Squad. 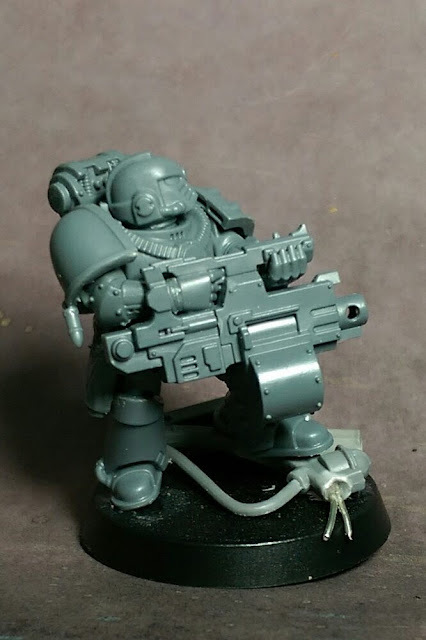 I chose this configuration because it will allow me to play both 30K and 40K, and with the added flexibility of magnetization, I'll be able to field the unit with a diverse selection of options, or as a generic Tactical Squad per the Horus Heresy rules. Sgt. with power fist and plasma pistol leads his squad who tote a meltagun and heavy bolter. The remaining squad mates provide fire support with bolters. 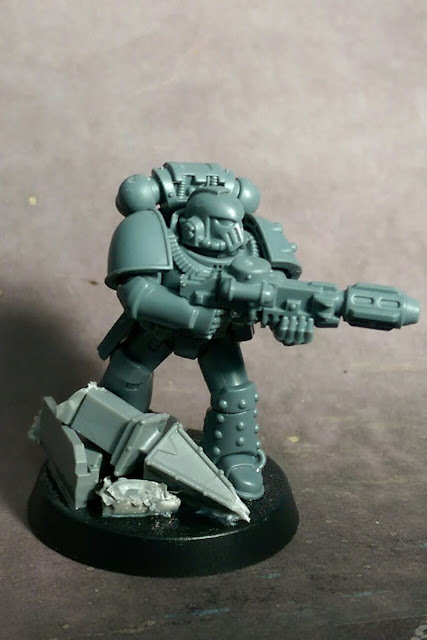 Stay tuned for progress updates, as well as a deeper look at the interchangeable options and flexibility of the squad that comes with magnetization.